Ever since high school, I’ve been a coffee drinker. Not the “I-need-an-IV-of-caffeine” kind (though there were phases in college), but I’m definitely not pleasant to be around if I haven’t had a cup or two. I once had a roommate tell me she would never travel with me again without making sure there was a coffee maker wherever we were staying. So yeah, it’s kind of important to me. Another fact about me is that I rarely have regular milk in the fridge anymore. This wasn’t even a conscious shift but one day I realized that I only ever bought almond milk. So usually, that’s what I use in my coffee as well. 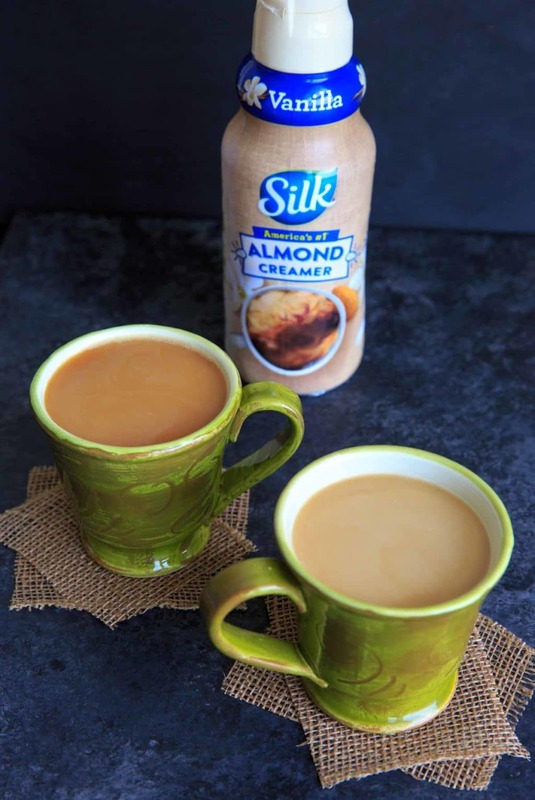 So the new almond milk creamers from Silk are right up my alley. I honestly haven’t used a flavored creamer for a long time because typically there are ingredients can be a bit sketchy. 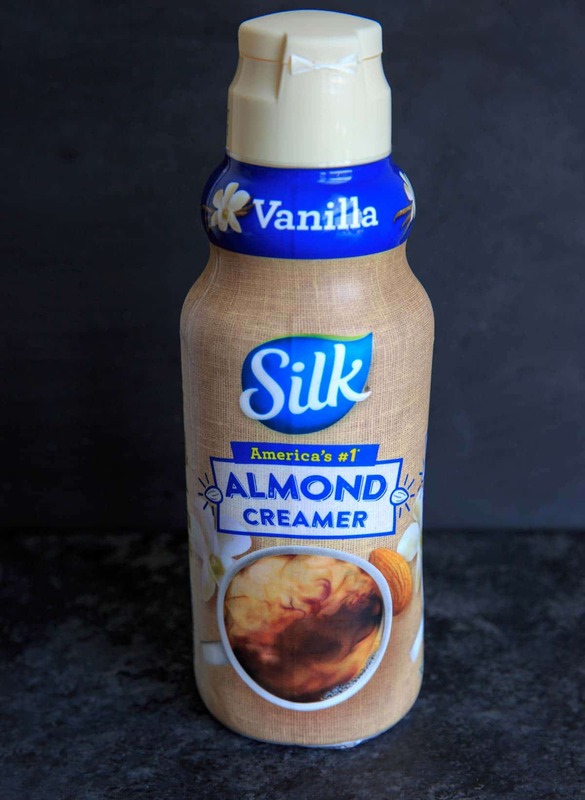 Silk almond creamers though are carrageenan-free, dairy-free, plant-based, non-GMO and have NO artificial flavors or colors. Sign. me. up. My favorite is the vanilla flavor and it blends nicely with a bit of cacao powder on top. Though in addition to the other caramel and hazelnut flavors, there is a PUMPKIN SPICE flavor being released soon. Am I the only one a little bit too excited for Fall? 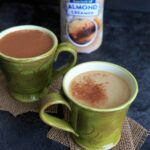 Your favorite coffee + Silk vanilla almond creamer + a sprinkle of cacao powder = feels like you just got a specialty drink at a coffee shop. Use this store locator link to find which varieties are available near you. Which flavor are you most excited to try? 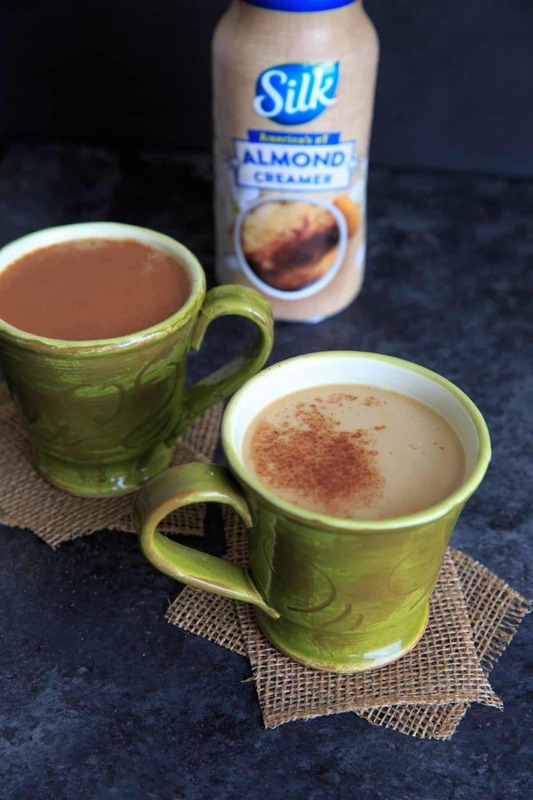 Do you use almond milk or creamers in your coffee? 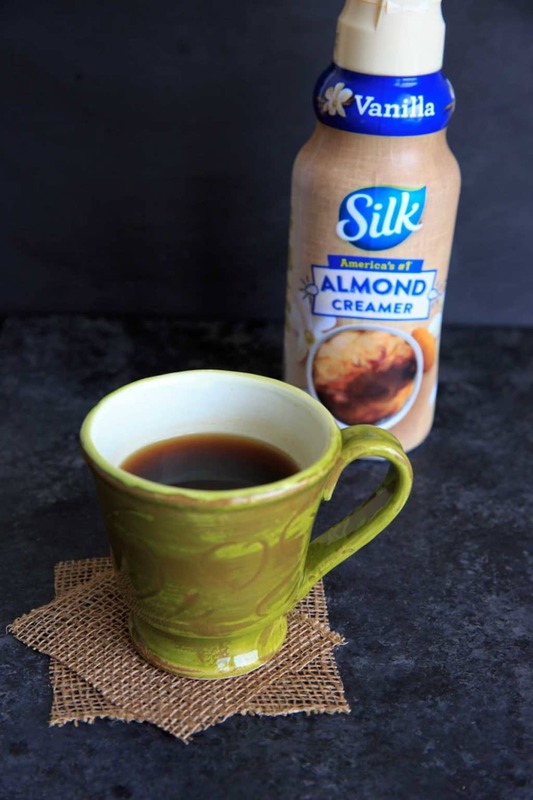 Coffee with Silk's new vanilla almond creamer and a sprinkle of cacao powder makes you feel like you're in a coffee shop without leaving home! 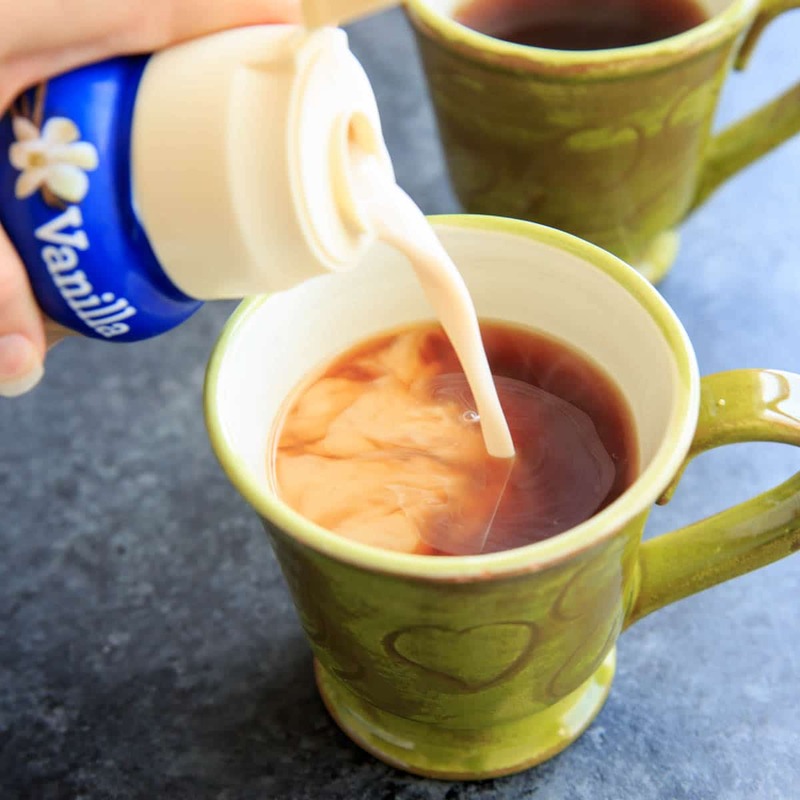 Add brewed coffee to a mug and stir in creamer to taste. Sprinkle a bit of cacao (or cocoa) powder on top and enjoy! I too enjoy creating recipes with my coffee creamers. Nice post! I’m a big coffee person too! I’m not sure if it’s really the caffeine I need, or just the habit of drinking something warm in the morning … no matter what it is, I still need it! It’s probably a little bit of both, but I’ve tried to replace with tea and it’s just not the same! I too love to start my day with a cup of coffee and I also am all about the non dairy creamers lately! Love the sound of that pumpkin spice flavor – will have to look out for that in the fall! I’m excited for that one too! I’m a coffee fiend — 2-3 cups every morning… but when I was in college we never had milk in the fridge and I actually got used to drinking it black. It makes it easier when you don’t have to worry about add-ins — but this would be delish with cookies as a midday snack or even after dinner… More of a finishing drink. Love it! Agreed – this would make a great dessert drink! I’m impressed you drink it black, I can only do that in emergencies! 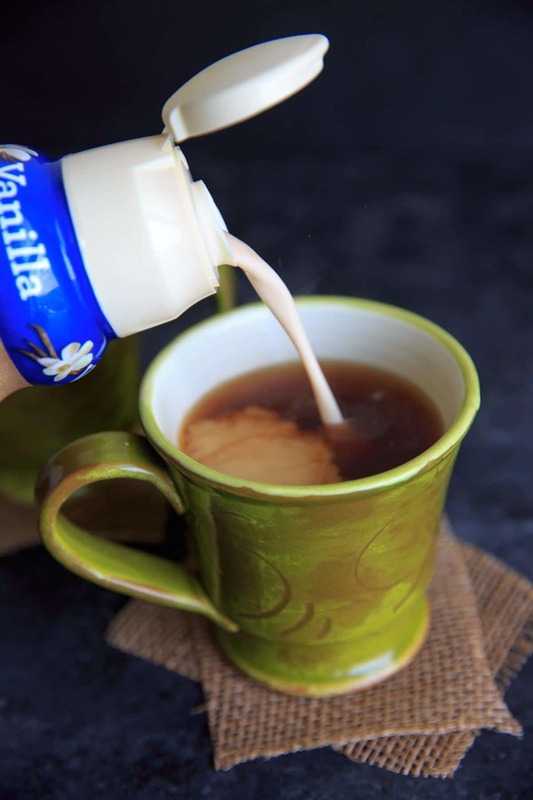 You WERE right Amy– this used to be the best coffee creamer on the market (when it was in the paper cartons) Then Danon bought the company that made this product and hanged the formula. They put it in that plastic bottle shown in the picture and made it taste like every other crappy, unhealthy, chemical filled creamer on the market. So disappointed!!!!! This was may go to creamer but not anymore!!!!!!! This new formula doesn’t even dissolve in the coffee- it curdles and averages with an oil film on the top of your coffee!!!!! YUCK! Kimberly, thank you for posting your comment! this new plastic jug version is making my thyroid swell within five minutes of adding it to my coffee. And the throat pfleghm……ugh. And the flavor is Not the same as it was before. Again, thank you so much as I thought I was the only one who felt that way about it.